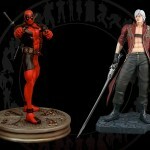 Hollywood Collectibles has just posted a pre-order page for an upcoming Marvel VS Capcom 3 – Deadpool VS Dante 1/4 Scale Statue Set. These statues are the third in the Marvel VS Capcom 3 Statue Line from HCG. 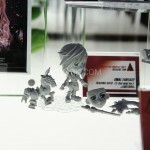 We previously had shown their Akuma VS Dr. Doom and their Wolverine VS Ryu Statues. We are delighted to announce the third set in our very popular series of statues from the hugely popular video game Marvel vs Capcom 3. Presenting Deadpool and Dante in awesome 1:4 scale! DEADPOOL – The Maverick Mercenary, is depicted with guns blazing and his trusted pair of katana’s on his back – just in case!!! DANTE -The Devil Hunter, has his massive Rebellion sword in hand and his trademark Ebony and Ivory pistols holstered for back up!!! These Museum quality pieces are constructed from heavyweight polystone and then hand painted to the finest detail. There is no HCG Exclusive version of this set, however if you prefer low serial numbers, we are reserving #1 to #100 for retail customers only. So the first 100 retail orders will receive the desirable low edition numbers! * Statues not available individually, only sold as a pair. Sculpted by Alterton, Paint by Fred DiSanto and Gordon Oberman. 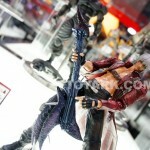 You can see a full gallery of the Marvel VS Capcom 3 – Deadpool VS Dante 1/4 Scale Statue Set after the jump. E2046 is an online retailer specializing in anime and Japanese modeling and garage kits. They also produce their own line of kits as well. Their kits come pre-painted, but unassembled, to allow collectors and and to have high quality items without the need to learn painting techniques. This is their “Gathering” line of resin model kits. E2046 was kind enough to supply us with one of these kits for review. This review focuses on their Dante pre-painted Gathering model kit. 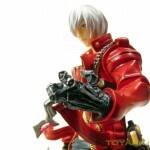 Dante is based on the lead character from the Capcom video game series Devil May Cry. 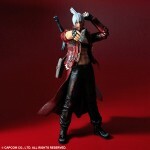 This model kit portrays Dante from the original games, and not the rebooted (and quite fantastic) DMC: Devil May Cry game. In the game series, Dante is a demon hunter, always looking for vengeance against those that killed his mother.